This is a good workout for the infielders to help build throwing accuracy. 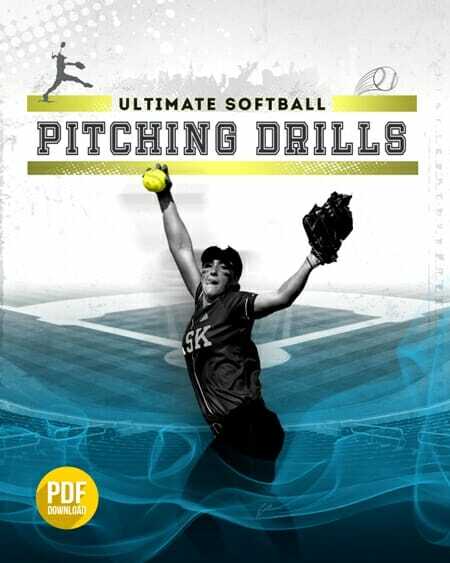 What you need – You need to field an entire infield for this softball infielder drill. The coach will bat grounders to each position. The diagram below will describe in greater detail how this drill is set up. How this drill works – Above we have illustrated how this softball drill would work for the third baseman. Each time it is the same thing for each player when they get the ball hit to them. First, the softball coach will hit to the player (blue), and they will field the ball and throw to first (red), then the coach will dribble a ball (green) that the fielder must charge, scoop and then throw to the catcher (red again). Then they are done. You will cycle through all of the positions on the field, and each one of them will do the same thing – go to first and then to the catcher. The key is to develop good fielding and throwing skills. 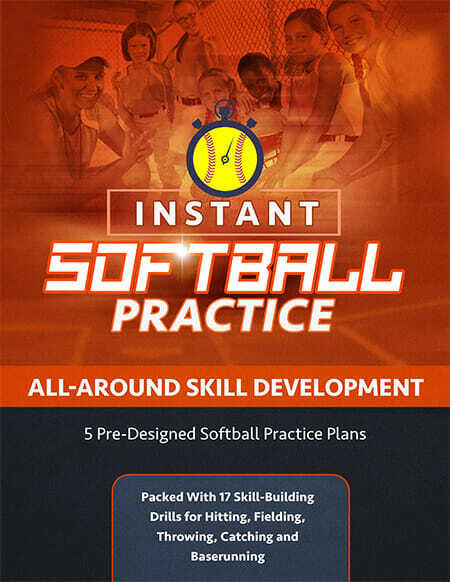 Result – This is a softball infielder drill that you can incorporate into your pre-game routine just to get your players warmed up with a little infield practice. It helps get them into the action and develops good skills.